This weekend, old-school rapper MC Lyte (born Lana Moorer) met someone at the altar in her white dress. 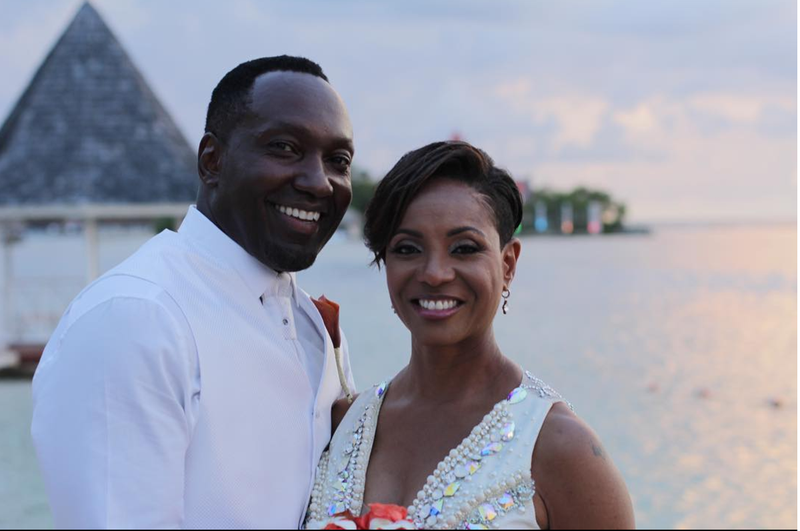 Lyte married John Wynche, a former Marine and entrepreneur at Sandals Royal Caribbean resort in Jamaica. The two actually met online more than a year ago. Guests at the beachside nuptials included a bevy of celebs like Kelly Price (who sang during their ceremony), SWV’s Coko and rappers Yo-Yo, Lil Mama and Slick Rick.